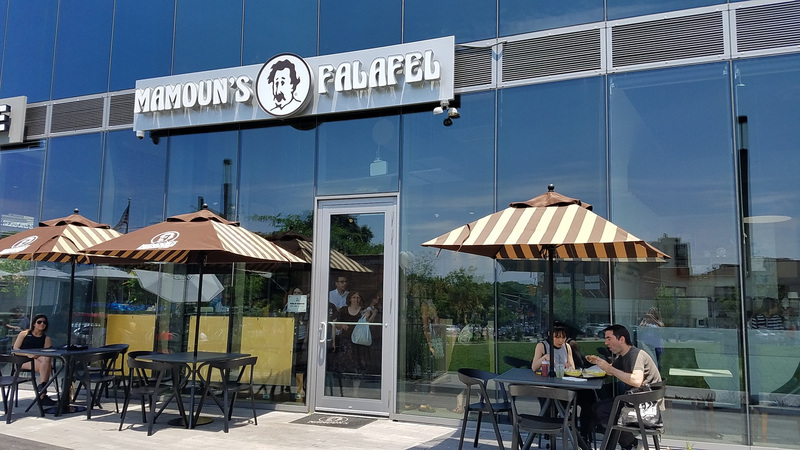 The Fort Lee, New Jersey location Mamoun’s Falafel is now open in the Hudson Lights complex at 187 Main Street. New Jersey natives, father and daughter duo Marina M. Yacoub and Magdy Yacoub are the first franchisees in the state for the brand. The 1,600 square-foot location, which is open daily offering takeaway, delivery and catering, joins the company’s other locations in New York City (MacDougal & St. Mark’s Place), New Jersey (Hoboken, New Brunswick & Princeton), Connecticut (New Haven) and Texas (Dallas) with further nationwide expansion planned. The menu features all Mamoun’s signature items including salad, soup, vegetarian or meat sandwiches or plates and a la carte combo plates including falafel and shawarma dishes. Signature beverages include freshly made Mamoun’s spiced tea and juices such as mint lemonade, mango and tamarind. In this MRM news story, Marina M. Yacoub tells Modern Restaurant Management (MRM) magazine why she wanted to be a Mamoun's franchisee, the training process and how she and her team are building awareness of the brand.